ATTENTION ALL: a hearty welcome to all you amazing and anxious A-post arrivals who are making an appearance at this humble abode today! All aboard? Away we go! 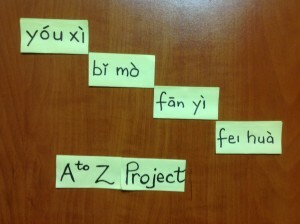 Today is Day 1 of the PinYin Word Project. On Friday, I posted a little teaser to explain what this challenge is all about. … is an old Chinese philosophy which refers to somebody who has the innate ability to decipher unusual words. Anyway, for the entire month of April, I'm going to come up with my own definitions for the words. You are all invited to join in the fun. Leave your definitions in the corresponding comments. Have a go – the crazier, the better. At the end of the challenge, I will provide all the correct definitions for these words. Imagine the following: a sea of faces + a mexican wave type of technique + a shock registering .8 on the Shrochter Scale? So that's my definition. What's yours? Post it in the comment box below. Remember you stand to win a prize! Could be… as long as it's sweet… maybe a rose' ? I think it has to do with very tall women (or short, confident ones in heels) who rule the world in their pajamas. It is a word with origins in Latin meaning the dearth of maize flour exactly when you need it to thicken a sauce. Hahahahaha! You really cracked me up with this one! Now my "sauce-making experiences" will never be the same again! As for Amazia – why, it's a phobia, of course! Fear of being Amazed. Have fun with your challenge. Amazia is a country where you live in constant wonder. It is full of surprise twists and turns and people with enormous amounts of creativity. I would like to build a home made out of beads in Amazia. I think Amazia is an indoor play park for little kids with lots of ball pits and slime bogs, kind of Nickelodeon for everyone. Sounds divine! A kid's paradise! Hopefully, your posts will make us all experience amazia! Amazia – an deadly extract from a multi-color flower found only in Brazil along the banks of the Amazon River. it's the fear of woman Japanese pearl divers who can hold their breaths longer than fish. Amazia=The condition of being lost or unable to figure a way out. Italian? Okay, here goes: Ciao donna. Si indossa un bel vestito… amazia! 🙂 Something like that… you're right, it does fit in Alex! For a second when I read the title I thought you had just forgetten to finish spelling the word Amazing, so I think your definition fits perfectly! J-e-n-n-i-e… that's taking the easy way out! I wanted your original definition. 🙂 Thanks for swinging by! What an interesting idea for A-Z. Hubby tells me I make up words all the time…. Sounds like it could actually be someone's first name. Great definition by the way. Amazia-A place in asia where people are amazed to see you. Great blending of ideas Michael! Smart one Mel! 🙂 I'm wondering exactly what fashion you had in mind…Glad you're playing along! The condition of not being able to escape from mazes. I guess it's related to Lee's but more literal. Interesting. I'm wondering what type of world you're referring to… sounds like a clash- of-the-warriors-type of situation… maybe post-apocalyptic…? Feigning the hula to entertain me! Love your def! Let's see.. Amazia is the new fragrance by Versace with Jennifer Hudson as the model/spokesperson. This is going to be fun! I like your definition! Amazia – Amazed in Utopia! Sounds like a win-win situation! Thanks Heather. OUCH! That really, really hurt! The tongue and toe are such super-sensitive spots! I like your definition. This is going to be a fun month. Fun! Fun! Fun! That's the name of the game. I'm aiming for some relaxation and a good laugh! Amazia…insanely good pizza. It's amazia! Pizza? AMAZIA! Mama mia! Oooh… it fits Mina. (I didn't even know that I can speak Italian…) he!he! Amazing-looking body all fit and toned… thanks to the amazing Amazia Wi-FIt game? Great definition! Hahahahah… Love it, Michelle! I hate to break it to you, though… You're all wrong. I happen to know for a fact that AMAZIA is the mythical land where extraordinary warriors of the Churémpirira tribe went when they died–a kind of bellicose heaven, if you will. It is, of course, the root of the word Amazon–both river and jungle. Sorry, rainforest. Greenery. Whatever. Mythical land… oooh, that's a good twist… and the tribe's name is also a tongue twister! I've never heard of Amazia before, but that graphic looks appropriate. Amazia the art of being able to forget everything! Sounds just about right. It's amazing how we become so forgetful… thanks for visiting, Connie. Your definition is a huge win and I couldn't possibly do better than that. Plus it brought a smile to my face (another win). Your win-win comment brought a smile to my face, Lynda! Thanks for popping in! What a fun idea for the month. At first glance, I thought Amazia would mean an amazing idea. Appropriate since your theme is just that. I'm looking forward to visiting more this month. 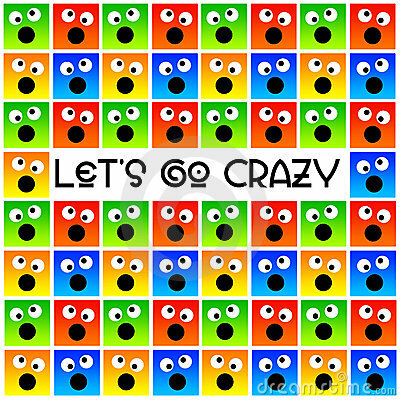 I think its what you get when your lost in a maze – kind of like amnesia – amazia! I can see the similarity! Amazia (n): a psychological condition manifesting as a confused daze, observed in people who have recently been exposed to amazing circumstances.